Today's readings deal with vanity and materialism. In the first reading, we read how it is vain to labor for things of the world. What does it profit for someone to work hard under the Sun and not focus on what is truly important? All of this person's life was based on anxiety on what will happen next and sadness. He or she is not at rest thinking of tomorrow. While work is important in this world, we must not forget the work of perfecting our lives in Christ Jesus (Philippians 2:12). Life is not supposed about increasing material wealth and ignoring God (Matthew 6:24). Our lives on this world are short, therefore, we should not plan on a long stay by gathering riches (James 4:14, Psalm 39:5). If we hear God's voice, we must not harden our heart as the Psalm for today tells us. God controls our existence. If He calls us back to dust, we will return (Genesis 3:19). We can plan our lives to the minute, but God can take it all away whenever He wants (Proverbs 16:9). Time is nothing to God. Thousands of years are like a watch in the night, we are told. To us, time seems forever. It seems like our enemy at times when we feel that there is just not enough of it. This is because we forget that God is the author of our existence. We must ask God to teach us to number our days aright, or plan our lives in the way we must in order to be with Him. We must listen to His voice always. In the second reading, we are reminded to seek what is above. If we are part of Christ. If we were baptized into the body of Christ, then we must seek what is above and follow the vows we made. We must think of what is above and not on earth. Earth will pass (Matthew 24:35). Even scientists tell us that our world and even our Sun have their expiration dates. Therefore, we must not dwell on life thinking that earth is our final destination. We died with Christ to the world and must live for Him (Romans 6:8). All things that plague us must be put to death: immorality, impurity, passion, evil desire, greed etc. We must stop lying to one another and offending one another. A new self in Christ must be put on (Ephesians 4:24). Finally in the Gospel, someone asks Jesus about an inheritance and Jesus replies that one must guard against greed and remember that one's life does not consist of possessions. 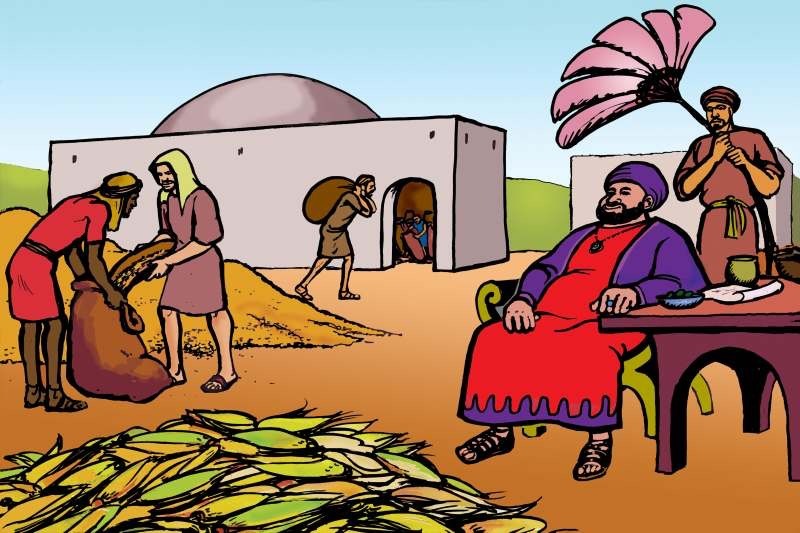 Then Jesus tells the parable of a rich man who wished to stored all of his goods believing that he would enjoy them. However, when God calls him home, then he cannot take his possessions with him Christ reminds us that we must not store up treasures on earth for ourselves. We must not be rich in the things of this world and not rich in what matters to God. This world shall pass. Gathering up wealth just for the sake of gathering it is not beneficial to anyone. Having money and goods is not evil. What makes it evil is when we worship them and use them to define ourselves and others (1 Timothy 6:10). I remember going to public school and being told that I must get an education in order to get a good paying job and live comfortably. This is not the reason why we must get an education. Moreover, getting a job is not supposed to be about obtaining wealth as if that is all life is supposed to be about. Money and material things will not bring happiness. How many times do we read or hear about actors and singers resorting to drug use in order to escape life? These people have it all in the eyes of the world. They have money, power, fans and so on, yet they are unhappy. This is because material wealth can be a huge burden on a human person. Moreover, if he or she sees this wealth as a definition of him or herself, then this will bring about problems. Instead, we should store up riches in God. In other words, we should focus on obtaining grace and not the things of this world. May Jesus be praised. 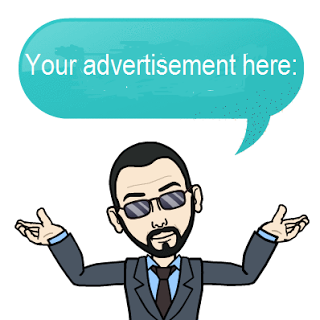 In light of today's readings, please consider making a donation or becoming a benefactor to help me spread the Gospel to others using man's technologies. Do not store up treasures on earth but use some of it to help spread the Gospel in today's technological age, please donate at: www.gofundme.com/sacerdotus. 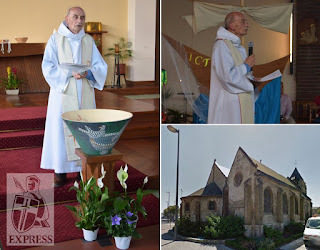 Two youths Adel Kermiche and an unnamed one who pledged allegiance to radical Islamic group ISIS entered a Catholic Church in Normandy and slit the throat of 84 year old Father Jacques Hamel and injured a nun. The interrupted the 9 AM Mass and took participants hostage for an hour. 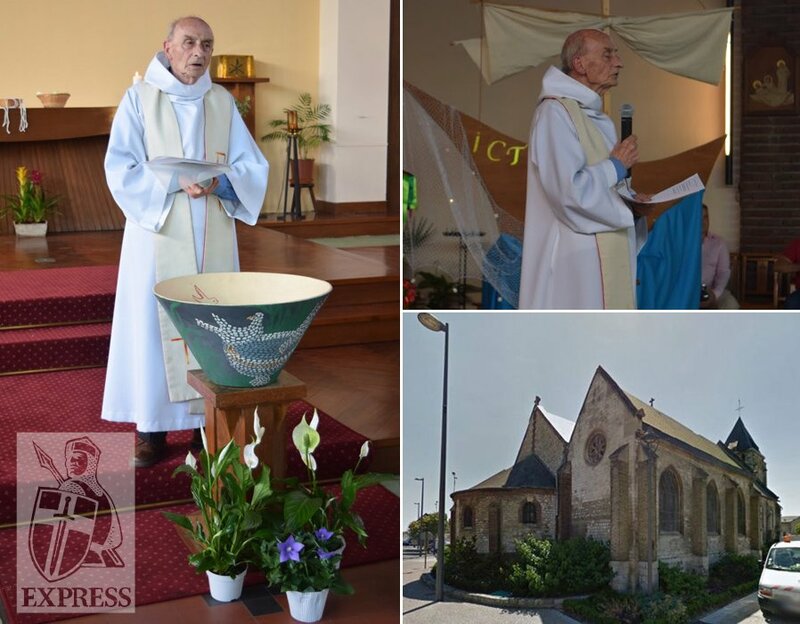 Father Jacques Hamel was made to kneel before the altar. 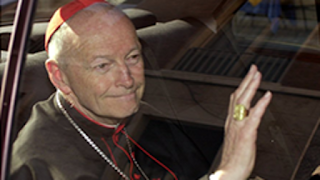 He tried to defend himself according to a nun who gave her witness account before he was killed. 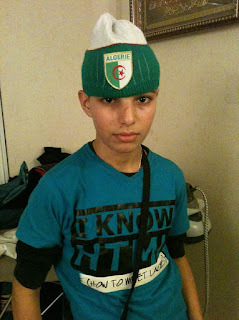 The youths then said something in Arabic around the altar before they were shot dead by the authorities. In a statement, archbishop Dominique Lebrun, of Rouen stated, "I cry out to God, with all men of good will. And I invite all non-believers to unite with this cry. The Catholic Church has no other arms besides prayer and fraternity between men." This attack shows that ISIS is active and will target churches without fear. More needs to be done to prevent future attacks. Fr. Jacques Hamel died a martyr, in my opinion. May he rest in peace. This is Adel Kermiche who slit the priest's throat. He was only 19 and brainwashed by radical fundamentalism. More needs to be done to prevent youth like Adel from becoming indoctrinated with hate and evil. As Catholics, we are called to forgive our enemies and pray for those who persecute us. We are not enemies with Islam. Islam is not the problem. Today's readings touch upon God's mercy and the fact that we have to be merciful to others as well. In the first reading, we read of Abraham pleading for God not to destroy the cities of Sodom and Gomorrah. The people of these cities were too far gone. They practiced homosexuality, were unhospitable to others and were wicked (Ezekiel 16:48-50, Jude 7) . There was no hope for these people. Nevertheless, upon learning of the justice God was going to impose on them, Abraham did his best to convince God not to follow through. He keeps asking God that if said number of people were innocent, would that be enough to stop the wrath of God. God replies that He would spare the whole place for their sake. We must be like Abraham and plead for others, especially sinners (James 5:16). Whether or not God will turn away His wrath from them is another story, but God is merciful (Psalm 103:8). God hears us when we call out to Him just as today's Psalm tells us We must thank Him always. In Him, we have our being and existence (Acts 17:28). God answers prayers. He may not answer them in the way we expect, but He does answer them. God gives us what we need, as opposed to what we want. Only God knows us and what consequences our actions and thoughts will have. He knows what is best. This is why Christ died for us. He released us from the bonds of death and sin. We read in the second reading how we are buried with Christ in baptism. In baptism, we die to the world, so to speak (Romans 6:11, Colossians 2:20). We live in it, but are not of it. We put up with the shenanigans of the world while looking up to Christ on the cross. Christ took all that holds us back from holiness and nailed it to the cross. He redeemed us and is preparing a place for those of us who fight the good fight and do not let the world force us to look back like Lot's wife or the man with the plow who looked back (Luke 9:62, Genesis 19:26). Finally, in the Gospel, we read of Jesus teaching us how to pray. This is one of my favorite passages. Here we have God teaching us how to pray. If that does not ring of awesome, then I do not know what does. Jesus teaches us the Lord's prayer. He shows us to call God "Our Father." He reminds us that God is holy and that all things come from Him. We rely on God for even our daily bread. This is our daily sustenance which I see as the Holy Eucharist. Next, Jesus reminds us to be compassionate and merciful to others. He shares a story of a friend who asks another friend for food to entertain another friend. The friend who he knocks at the door of gets upset and refuses to offer him bread merely on their friendship, but on the other friend's persistence. We must do things for the right reason and not feel pressured to do it. If I give a homeless person food, I must do so because I want to sincerely help this person and not to "win points" with God. The act must be based on love, not my own personal gains. God will provide. Whoever asks will receive and whoever seeks will find Again, this does not mean God is a genie in a magical bottle granting wishes. He will give us what we need, not what we want most of the time. Many atheists use this passage to attack God claiming that God does not answer prayers or does not give what people pray for. They have even used it against me regarding my gofundme page. They tell me to pray for money and not wait for generous people to donate because God will give to whoever asks. They say this with sarcasm of course. However, we can see how ignorant they are in this regard. They do not understand the purpose of prayer Let us continue to do good and not give a snake to those who ask for fish or a scorpion to those who ask for an egg. Let us not be wicked like the people of Sodom and Gomorrah. God will reward us. Let us be merciful. May Jesus Christ be praised. Please donate at www.gofundme.com/sacerdotus to help me pay for the bills associated with this domain and others, as well as, to help expand this work to reach even more people. Today's readings remind us to put God first. In the first reading, we read of Abraham experiencing a theophany of the Blessed Trinity. Three men appeared before him (Matthew 28:19). Abraham immediately treated these men with respect and made them feel at home. Similarly, we too much make God feel at home in our being. God will not force Himself on us. He waits for us to invite him (Revelation 3:20). This is why many atheists feel fruatrated that they do not have proof of God's existence. This is because they do not invite God to come in and show His wonders in their lives. We who believe must be like Abraham who asked the three men not to pass him by. This phrase inspired the Protestant- Gospel hymn, "Pass Me Not, O Gentle Savior." We must ask God not to pass us by and must welcome Him into our daily lives. If we do this, we will live in the presence of the Lord as the responsorial Psalm states. We will be blameless and just. Truth will be in the heart and the tongue will not lie. We must not harm our fellow man nor take reproach, as the Psalm states. God will be with the one who is honest. In the second reading, St. Paul reminds us that we must suffer and must admonish and teach everyone. We have been given the task to evangelize and bring to completion the mystery that has been hidden for ages. This evangelization is not only for the bishops or successors of the Apostles. Nor is it solely for priests and deacons. This work is for all Catholics. St. Paul also says he us "filling up what is lacking in the afflictions of Christ on behalf of His body, which is the Church." What does this mean? How can Christ "lack?" St. Paul is not saying that Christ is lacking anything. His redeptive act on the cross was sufficing. What St. Paul means is our participating in the suffering of Christ. Christ suffered for all, but He did not suffer for us individually as seperate persons. We have to put that part in as individuals in the body of Christ. This is why our sufferings are united to that of Christ's (1 Peter 4:13). Lastly in the Gospel, we read of Martha whose sister is Mary. Martha is left to do the housework because Mary goes to listen to Christ preach. Naturally, Martha protested to Jesus about this saying it was not fair that Mary left her to do all the work. Jesus replies, “Martha, Martha, you are anxious and worried about many things. There is need of only one thing. 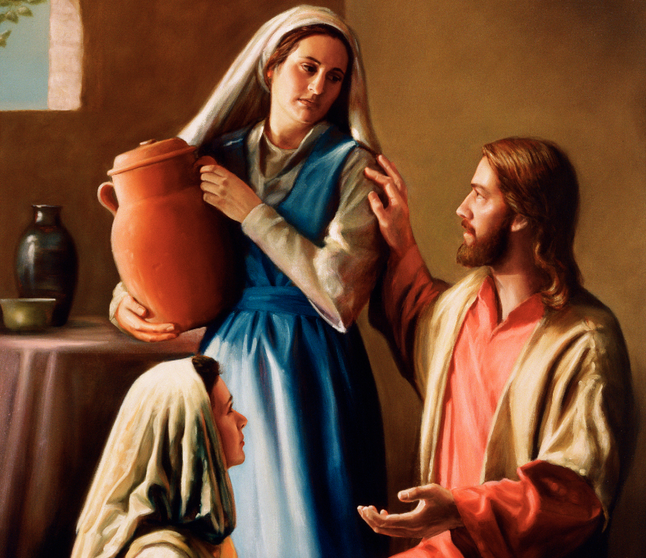 Mary has chosen the better part and it will not be taken from her.” Here Jesus is telling Martha and us today that the Gospel is more important than anything else. We must stop what we are doing to attend to the things of the Lord. Work, school, house chores etc are important in our day to day lives, but the things of God trump these. This is why we must set aside time to go to Mass, pray and study the Word of God and teachings of the Church. The things of God are first (Proverbs 3:6). This is how we fulfill the Commandment we read about last week: To love God will all our hearts, minds, soul, and strength. God is number one and must be number one in our lives. May Jesus be praised! Today's readings touch on the Commandments and mercy. The first readings tells us of Moses reminding the people to turn to the Lord and keep His commandments. Humanity is always falling away from God's way. The Hebrews were no stranger to this behavior (Exodus 32:9). Despite witnessing God in action via miracles and other supernatural phenomenon, they turned away and sinned (Psalm 107:24, Psalm 95:9). Moses reminds them that God's law is in them and in us today in 2016 (Jeremiah 31:31-35). This is the Natural Law. Recently in the United States, we have witnessed many horrific events. From mass shootings throughout the states which seem to be a common thing now, to the recent attack in Dallas against the police. America seems out of control. People are protesting all over after cops shot and killed several individuals. The divisions are more and more apparent. These things are happening because Americans are falling away from God. They need to return to the Lord. America is a nation which prides itself as being "Under God," yet the nation allows laws and practices that are contrary to Him. Abortion laws are protected as if they were sacred. Any criticism against them turns into an accusation of misogyny for the one offering the criticism. 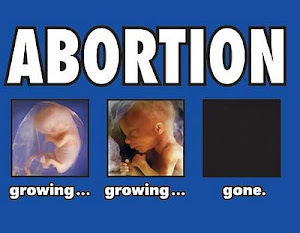 If one defends the sanctity of life from conception to natural death, one is "against women." Similarly, the idea of marriage has been distorted as being an "anything goes" scenario. Once again, anyone who defends the natural union between one man and one women is accused of being a bigot or on the "wrong side of history." Moreover, America has gotten so lost that there is confusion on what gender is and what bathroom one should use. I can go on and on, but I believe you get the point especially if you are an American reading this. It is no surprise to me why we are seeing so much evil in America. America is pushing God away. We reap what we sow (Galatians 6:7). God only blesses a nation that sticks with Him (Psalm 33:12, 2 Chronicles 7:14). He gave us His law, we must follow it. These laws or Commandments are not rules meant to oppress. If one studies them well, one will see that these rules are meant to control fallen human nature. These laws are not in the sky or sea, as Moses said. They are not far from us. These laws are in us. We are hardwired to have a conscience. We must turn to God in our need as the first option for the responsorial Psalm states. God is our constant help. We must seek Him and ask for mercy. Only God can help us now, not politicians or leaders in secular governments (Psalm 121:2, Psalm 146:3). This is why as we are afflicted in pain with the loss of so many lives in America, we must seek God and ask Him to rebuild our cities and save America and the whole world. The United States is not the only nation falling away from God. We must seek the Lord's words which are Spirit and life, as the second option for the responsorial Psalm states. God's law is indeed perfect. Who knows us better than our maker (Jeremiah 1:5)? His precepts are right. They are not meant to oppress us, but to allow us to truly use our freedom as we ought. We follow these laws in Christ who is the image of the invisible God, as we read in the second reading (John 14:7). Everything was created for Jesus Christ. All things visible and invisible; all things in this universe and whatever realms may exist belong to Christ. All were created for Him and through Him (John 1:3). He existed before all that exists and it is He who is the invisible head of the Catholic Church (John 1:1). The Pope is the visible head and vicar of Christ, but he does not replace Christ (CCC 885,936). The Catholic Church belongs to Jesus, not anyone else. We can only find peace in Christ Jesus through the blood of His cross. This blood we receive in the Holy Eucharist at Mass. Lastly in the Gospel, we read of the scholar of the law who asked Jesus what we must do to inherit eternal life. 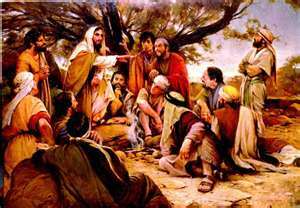 Jesus using the Socratic method simply asks him, "What is written in the law?" The man replies, "You shall love the Lord, your God, with all your heart, with all your being, with all your strength, and with all your mind, and your neighbor as yourself." The Commandments given to Moses are summed up in these two simple but profound commandments. First, we must love God above all things. This love must be expressed in our being which includes the heart, soul, our strength, and mind. This makes sense because God is our creator. Our bodies may have formed in the womb of a human female after conception via male sperm, but God decides if we are to exist or not (Isaiah 66:2). God is the one who knits us and plans our lives (Psalm 139:13). Furthermore, we must love our neighbor as we love ourselves. This neighbor is everyone around us: relative, co-worker, stranger and so on. Those of us who have trouble loving others is because we do not love ourselves. God implicitly showed some psychology in this commandment. Psychologists often state that those who hate others do so because they do not love themselves. People who do not love themselves do not understand what it means to love others. Since they do not understand, they cannot express it. We must be loving of all people, including those who dislike and hate us (Matthew 5:43-48). This does not make us weak, but strong because we did not let the hate and negativity affect us. When people come to you and trash you, mock you, harass you, gossip behind your back, this is because these people do not love themselves. People will tear others apart in order to use what they tore apart to build up in themselves what they lack. We must bear with one another (Colossians 3:13, Ephesians 4:2). No one is perfect and each one of us has his or her temperament which often gets the best of us. 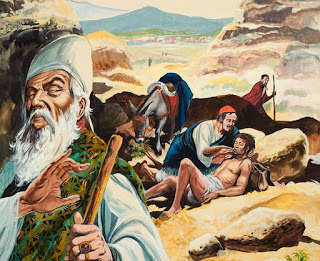 Lastly, Jesus tells us in the Gospel the parable of the Samaritan. A man is attacked by robbers and left for dead. A priest of the Jewish faith passed by and ignored the man who was attacked. Similarly, a Levite passed by. These individuals gave their lives to preach and live by the law of God, but ignored this victim (Leviticus 21, Leviticus 8-10). They did not love their neighbor as they loved themselves. However, a Samaritan came by and stopped. The Samaritans were considered by the Jews of the time as people of a "lower class." This was because they mixed with other cultures (non-Jews) and were lax in their practice of the law. Since the Samaritans were not expected to follow the law, the fact that the Samaritan in Jesus' story stopped to help is significant. Jesus is showing in the story how those who study the law become so rigid with the letter of the law that they forget to practice the spirit of the law (Matthew 6:5, Mark 2:27). We must not become like this. This is why Pope Francis has been stressing for Catholics to practice the spirit of the law and not become like the rigid priest and Levite in the parable of the Good Samaritan. Those who have been attacking the Pope and his writings on mercy are behaving like the priest and Levite who saw the law as something they had to learn mechanically without processing the spirit behind them. The rules of the Catholic Church, the teachings of the Church etc, exist to serve us, not for us to serve them (Mark 2:27). This does not mean that we can water down or pick and choose what we want, I must make that clear. What this means is that we must meet people where they are at, as Pope Francis has constantly reminded us. When we see a Protestant or Muslim, we should not see a "heretic." When we see a gay person, we should not see a "sodomite." When we see a Jew, we should not see a "perfidious person." When we see an atheist, agnostic or indifferent person, we should not see a "heathen." Instead, we should see a victim who was robbed by Satan and stop to help him or her (John 10:10). The Church must be a field hospital, as the Holy Father has stated. This is how we love our neighbor. We must be merciful to others. Let us pray for this world which is falling apart. While we pray, let us put the law of God into practice by reminding the world to love God with, mind, body, heart and soul; and love neighbor as one loves him or herself. May Jesus Christ be praised! Today's readings have many metaphors that convey a wealth of meanings. In the first reading, we read a description of Jerusalem and how important 'she' is. Jerusalem is described in a feminine sense. She is a mother to all with breasts that feed all. This imagery is a foreshadowing of the Catholic Church. The Church will be a mother to all. God will gather all into this Church and comfort them "as a mother comforts her child" (2 Corinthians 1:3). This does not mean that God is a 'mother' or a 'woman.' Isaiah wanted to use language readers could understand in order to convey the message of how much God cares for His people which can be compared to the care between a mother and her child (Psalms 17:8, 57:1, 91:4, Matthew 23:37; Luke 13:34). I think it is safe to say that there is no bond greater than that of a mother and child. This is why we "cry out to God with joy" like a child cries out when he or she sees his or her mother as the responsorial Psalm states. As children of God, we must shout joyfully to God and praise His name. We all believe in God because we have seen His promises at work. In our lives, we have encountered God in many ways. We see "how tremendous" are God's deeds because we have experienced them daily. This is why we worship and sing praises to God and call others to see the works of God (Psalm 66:5). While we may not see miracles like the crossing of the Red Sea even as described in the Psalm with "He has changed the sea into dry land; through the river they passed on foot," we experience other kinds of miracles that increase our faith and love (Exodus 14). These experiences we must share with others, but in a humble and loving way. We must not boast, as the second reading tells us, except in the cross of the Lord Jesus Christ. We too must suffer for our faith. However, these marks on our bodies and minds will serve to bear much fruit. In the Gospel, we read of Jesus sending out seventy-two disciples in pairs. He reminds them that He is sending them as "lambs among wolves." This means that evangelization is not easy. We will be met with opposition, mockery and even worse. 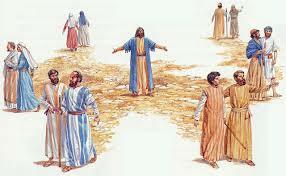 Jesus tells them to carry no money back, no sack, no sandals and greet no one along the way. This shows detachment from the world. Life is not about material goods (Matthew 6:19-21). When Jesus says not to greet anyone, He is not encouraging rudeness or anti-social behavior. Instead, He is saying that we must be focused on spreading the Gospel. Many times we may run into neighbors or friends when we go out to run an errand and get side-tracked with small talk. When we are going out to spread the Gospel, we must avoid this. We must be focused on the task at hand. St. Francis of Assisi used this Gospel to send his friars out to preach. Moreover, Jesus instructs these pairs on how to deal with the people. If they welcome them, then these pairs should enjoy what the families offer (1 Corinthians 10:27). If not, then they must shake the dust off their feet as a sign that they do not want part of what these people offer (Matthew 7:6). In today's world, there is so much going on that is oppressing Christianity. We must "shake it off," not as singer Taylor Swift sings but as Christ says. We must have no part of the dust that this world offers and must shake it off of our feet (Ephesians 5:11). Whenever we encounter stubborn people who are closed minded such as atheists, we must not get into shouting matches with them. If they do not want to hear us, then we must move on. We did our part. It is not God's part to soften their hearts and open their minds to the truth (Ezekiel 36:26, Romans 9:18). God is on our side. Jesus saw Satan get kicked out of heaven. The demons fear Him and will fear us because we go in His name (Mark 16:17-18). Nothing will harm us as Christ said. We must go out there and spread the truth especially in this day where so many errors are taking hold of society. Let us fight the good fight. Remember, we have already won in Christ Jesus. May Jesus Christ be praised!